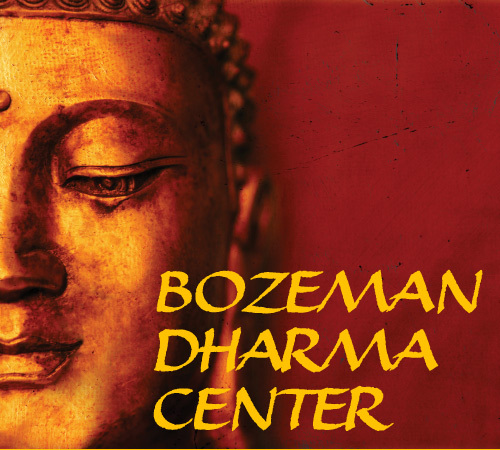 The Bozeman Dharma Center is located at 1019 East Main Street on the second floor. The building is on the north side of Main, between the Jackpot Casino and the Buggy car wash, set back behind the parking lot. You will see lighted signs for our neighbors on the exterior (Langlas and Anderson Zermuhlen) as well as our sign. Please enter through the main entrance of the building on the ground level and come up the inside stairs or elevator. Monday and Wednesday: 10:30 am – 12:00 pm. for more details on our drop-in sits, please click here. If you have a question, want to scope out our center or browse the library, you are welcome to drop in during the Coordinator’s office hours. If those times don’t work for you, please come a few minutes before noon or at 1:00 (before or after the drop-in sit). The host of the noon drop-in sit will be happy to answer any questions you have and give you handouts on our programs and events. Please come check us out! The Dharma Center is also open almost every weekday evening from 7 – 8:30 for a meeting of one of our groups. Please see the calendar for more sitting times and our program schedules. If you’d like to arrange a meeting with a member of the Dharma Center staff, please email us to make an appointment: info@BozemanDharmaCenter.org.